Hunting the Giant Octopus of Namekawa in Etchu province from the series Dai Nippon Bussan Zue. The woodblock print series Dai Nippon Bussan Zue, drawn by Utagawa Hiroshige III (1842–1894), was published by the Tokyo-based publisher Ōkura Magobei on August 10, 1877. Each printed sheet in the series contained a pair of illustrations depicting regional scenes of farming, fishing, mining and other economic activities. Higuchi Hiromu, a collector of 19th-century nishiki-e, wrote in 1943 that there were 60 pairs (120 pictures) in the series, but only 118 are extant.1 There is also reference to over 100 pairs (200 pictures) being issued, based on the existence of prints in this series that carry numbers in their margin, some of which exceed the number 200. However, based upon the haphazard appearance of numbers on only the occasional print, these numbers appear to have no relationship to the total number of prints in the series and we can safely assume that only 59 pair (118 pictures) were issued. This series is also referred to as Dainippon Butsu-san Zukai (Pictures of Products and Industries of Japan) and is variously translated as Products of Greater Japan, Series of Greater Japan Products, Famous Products of Japan, Products of Japan, and Pictorial Record of Japanese Products, among others. In all 58 provinces (or regions) are represented in the series. Fifty-seven provinces are each represented by two prints, with Iyo Province being the one province represented by four prints. 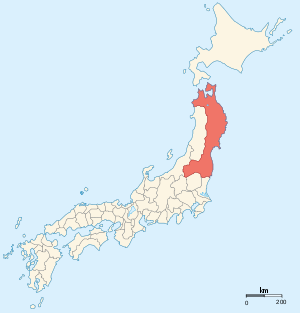 The names given for the provinces are those of the pre-Meiji era, sometimes referred to as the "old kuni". 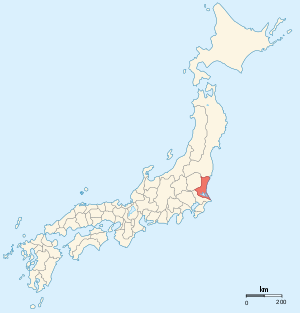 (A brief description of each of the old kuni can be found on this site in the article Former Provinces of Japan.) As shown below, the prints for each province were printed together on a single ōban-size sheet of paper and then cut into separate chūban size sheets. Uncut sheets can sometimes be found, as in IHL Cat. 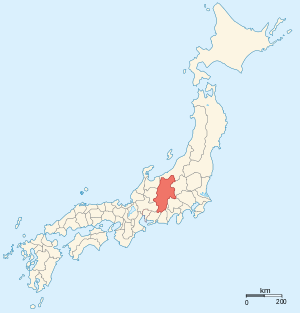 #362 Producing Soy Sauce and Watermelon Field in Shimōsa Province shown below. The printed sheets in ōban format (approximately 10 x 14 inches) were cut and sold as individual sheets or, as most were, cut and bound into books. There are two book formats, a book sized approximately 7 x 9 1/2 in. (18 x 24 cm.) which allowed the prints to lay flat and a book sized approximately 7 x 5 in. (18 x 13 cm) which required each print to be folded in half. An advertisement included at the end of one bound folding book says “Dai Nippon Bussan Zue, orihon zen 6 satsu,” namely that there were six books in the series. Extant books do not necessarily contain the same pictures in the same order and it seems that there was no fixed way of ordering the prints when they were bound together. One example of many types of bindings and distribution for this series. Most of the prints in the top half of the ōban size sheet are signed "Hiroshige hitsu" in the bottom of its right margin and most of the bottom prints carry a cartouche in the left margin that gives Hiroshige III's address and his family name, Andō Tokubei, and the publisher's address and name, Ōkura Magobei, in a cartouche in right margin, as shown below. These pictures show industrial scenes such as harvesting natural resources, processing crafts, shipping products, etc. in certain regions or countries, and hence depicting local industry. In the history of Japanese drawings particularly for practical use, there were various genres of pictures: meisho-e described famous places such as temples, sight-seeing spots, etc. ; shokunin-e depicted various professionals and how to make things; bussan-e were like pictorial encyclopedia for products; and hakubutsu-e were of things. The Dai Nippon Bussan Zue is a combination of these genres of picture. By presenting images of most regions in Japan systematically with respective local industries, products, and working people, it suggested the variety as well as commonality of the developing nation. Hiroshige III has covered the almost naked bodies of the men hauling in the day's catch and given us a "rising sun", but otherwise his 1877 print is a picture of a scene set at the end of the previous century. The series was extremely popular and was reprinted many times by the publisher Ōkura Magobei, whose shop in Nihonbashi (shown left) was nearby the site of the First National Industrial Exhibition in Ueno Park. While there is no record of prints being sold at the exhibition site, I believe even if not actually sold at the site they were advertised at the Exhibition. Each printing would have both intentional (planned) and non-intentional (unplanned) color variances from previous printings and I have seen many instances of the same print issued with three different colored cartouches (red, green and rainbow-colored) containing the series' title in the upper right corner, as shown below. Source: Japan Goes to the World's Fairs: Japanese Art at the Great Expositions in Europe and the United States 1867-1904, Los Angeles County Museum, 2005, p. 46. The First National Industrial Exhibtion (Naikoku Kangyō Hakurankai) was held from August 21 through November 30, 1877, in Tokyo's Ueno Park. The Minister of the Interior, Ōkubo Toshimichi, who acted as the exhibition's general director, was a powerful advocate for the policy of fostering production and commerce and a proponent of national industrial exhibitions. The exhibition site consisted of a museum, main hall, machinery hall, agriculture hall, animal husbandry hall, horticulture hall, Gokakudō (pentagonal hall), and Rokusō-an tea ceremony pavilion. There were a total of 16,172 exhibitors showing 84,353 items. In anticipation of the event, the government clearly stated its interest in encouraging the growth of export industries and requested that every prefecture in Japan participate in the exhibition, suggesting that the domestic fairs were intended to provide a survey of the products and industries of the entire country and to offer a venue for assessing which of those products might be suitable for export.